Walter E. Nelson Co. of Astoria – Walter E. Nelson Co. Servicing the Northern Oregon Coast, Walter E Nelson of Astoria caters to a unique and evolving mix of new business in the region. Decades ago, seafood processors and lumber mills dominated. Today, tourism is the main economic activities of the city. Logging and fishing persist, but at a fraction of their former levels. Astoria’s tourism has been active for several decades with visitors coming for the historic elements of the city including significant Lewis and Clark landmarks. The microbrewery scene, visits from cruise ships, and a weekly street market have helped popularized the area as a must visit tourist destination. We are located just north of the downtown area on Commercial Street. 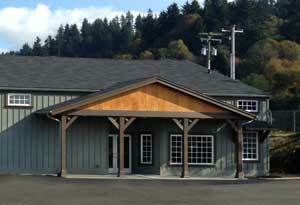 You will find Walter E Nelson of Astoria is a bit different than other Wenco locations. This store is also a full-service retailer of Benjamin Moore paints, supplies, and equipment. Still, the core of our business is Facility Supply and making your business cleaner, healthier, and more inviting to your customers and clients. Our management and sales reps were born and raised and the Astoria area and have seen the transition of Astoria’s commerce first hand. You can count on them for answers and advice to your toughest cleaning problems.